All 30 Kohl's coupon codes have been verified and tested today! Want to maximize your shopping spree? Kohl’s allows customers to stack their coupons for the best savings. The store will apply department-specific vouchers first that involves a dollar or percent off. Your second coupon will be any dollar off coupon, followed by a single site-wide coupon. Power Hours are when employees mark down the price of various products from anywhere to 10% to 30% off. There is no exact schedule for Power Hours, but they pop up all year long and are more frequent near Christmas. These times take place between 1 pm on Friday and 3 pm on Saturday! Schedule your next trip accordingly. Kohl’s allows customers to price match their items both in-store and online. Show the product, retailer, and price to get your rate adjusted. It's best to bring in a physical copy as it is up to each store whether or not they will price match with a mobile copy. Kohl’s has a markdown system that needs a little decoding to help you access huge savings. Luckily for you, we've been able to crack this code to help you on your next savings journey! When you are shopping, keep an eye out for any garments with a clearance sticker placed on the tag. These stickers will start at 60%, and can increase up to the final markdown of 90% off! The price of items should go down about every two weeks. Double down on your savings when you apply a Kohl’s online coupon at checkout. Kohl’s return policy has been considered one of the most favorable in the United States. If you have decided the item doesn't suit you, there’s the option to bring it back for an unlimited amount of days (excluding premium electronics) even if you don’t have the receipt. The policy covers items that you purchased with Kohl’s Cash or gift cards. So, don't be afraid to use those Kohl's coupons even if you´re not convinced about an item- you can always return it! You just got to the store only to realize the item you want is out of stock, so what do you do? Access the in-store kiosk where you can order this item from the website and receive additional benefits at checkout, possibly including a Kohl's coupon. Find the exact item in the size and color you want and have it shipped directly to you including free standard shipping. It’s always a great idea to sign up to a store’s rewards program, and Kohl’s has one made to help every loyal shopper save. Create an account, if you don't have one, by providing your name and email address. Once you've created your account, you can then enroll by logging into that account. Once you've signed up, you will receive one point for every dollar you spend online or in-store. When you reach 100 points, you will receive a $5 reward instantly. So what can you do with these points? The points will be transferred to Rewards Cash. You have all month to use your Rewards Cash at Kohl’s to purchase items without spending an extra dollar. Do you want access to top savings and need a new credit card? 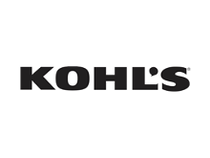 Enroll for a Kohl's Charge credit card today by filling out their application which you can find online. All you need to do is enter some personal information and then Kohl's will review your application to see if you qualify for the card! How does this help you save? The Kohl's Charge Credit Card allows you to shop both in-store and online by providing a balance when you are unable to pay upfront. Cardholders receive additional discounts compared to the everyday shopper. Some specials include a 15% off discount when you get your card, and anyone who applies online can take 20% off on his/her first purchase. Cardholders also have exclusive access to twelve savings events throughout the year, which includes up to 30% off your purchase. Kohls Cash is a reward system for smart shoppers. You can earn the cash during promotional events, and you´ll be able to use the money on anything you like in-store and online. Reap more benefits when you spend more, and you will receive a boost in the amount of Kohl's Sash you can gain per each $50 spent! It's a straightforward system that is simple to follow. All you need to do is shop, redeem, then earn more Kohl's Cash to use on your future shopping spree. Kohl’s has annual sales with specific dates, so you know exactly when to shop online for the best opportunities to save. Majority of discounts are offered during the holiday season including significant markdown's during Christmas and post Christmas. Other sale opportunities arise throughout the year such as its weekly flash sales. For a heads up before these specific events and Kohl's coupons, sign up for Kohl’s emails.